After receiving a rather humorous suggestion on Twitter, Guardians of the Galaxy director James Gunn has revealed that the title of the third movie in the series to be Guardians of the Galaxy Vol. 3. This title follows suit from the previous Guardians movie, which was titled Guardians of the Galaxy Vol. 2. The Guardians of the Galaxy franchise has been one of Marvel's most shocking successes in recent years, surprisingly making audiences around the world feel for a tree and a raccoon on an emotional level. James Gunn, who previously wrote and directed the last two movies in the space opera series, and also helped write Avengers: Infinity War, has confirmed that he will return to the franchise's "threequel." During a conversation on Twitter, Gunn was suggested to have the name of the third Guardians of the Galaxy be Guardians of the Galaxy.mp3. This is not only clever due to the use of the number 3 in "mp3," but it also ties in with the ending of Guardians of the Galaxy Vol. 2. The "Volume" addition to the titles is inspired by Star-Lord's collection of mixtapes, which are titled "Awesome Mix Vol. 1" and Vol. 2." At the end of Guardians of the Galaxy Vol. 2, however, Star-Lord's Walkman was destroyed, along with one of his mixtapes. He later received a Zune, which featured even more songs, but now in the .mp3 format, which we can assume will be the source for most of the next movie's music. However, Gunn quickly shot this suggestion down, revealing that the title had already been selected as Guardians of the Galaxy Vol. 3. This does not diverge from the previous movie's title, which follows Gunn's plans for the three movies to be a "set." While we don't know too much about the plot of Guardians of the Galaxy Vol. 3, the previous movies have done a bit of set up for what we should expect. It will most likely feature the Guardians of the Galaxy who remain after next year's Avengers 4, along with the introduction of comic-book hero Adam Warlock, who was introduced in one of Guardians of the Galaxy Vol. 2's five post-credits scenes. The movie may also include the original Guardians of the Galaxy from the comics, who appeared in Guardians of the Galaxy Vol. 2 as the Ravager leaders. While Marvel Studios themselves have yet to reveal the exact release date of Guardians of the Galaxy Vol. 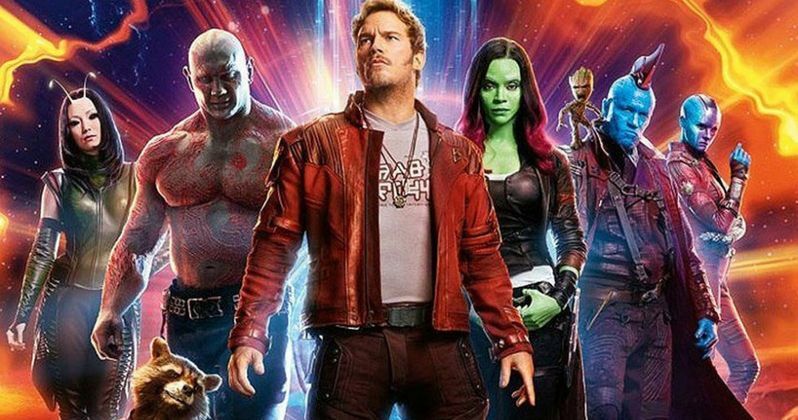 3, James Gunn has revealed on social media that it is currently slated for release in May 2020. Hopefully, this movie will help Phase 4 of the Marvel Cinematic Universe start out on the right foot, and possibly set the tone for what we should see later in the franchise. While the movie is still two years away, the revelation of the title for Guardians of the Galaxy Vol. 3 by James Gunn gets us very excited. The fact that Gunn is considering the "threequel" as part of the set shows that it will not stray far from the movies we've already seen. While the plot is sure to be different, the tone will still be in the right place, which is exactly what the third film in the series needs.